I’m still using an old stereo for music, as the amps and speakers are great. Although now I have a Raspberry Pi set up as an internet radio, instead of a record deck for vinyl. 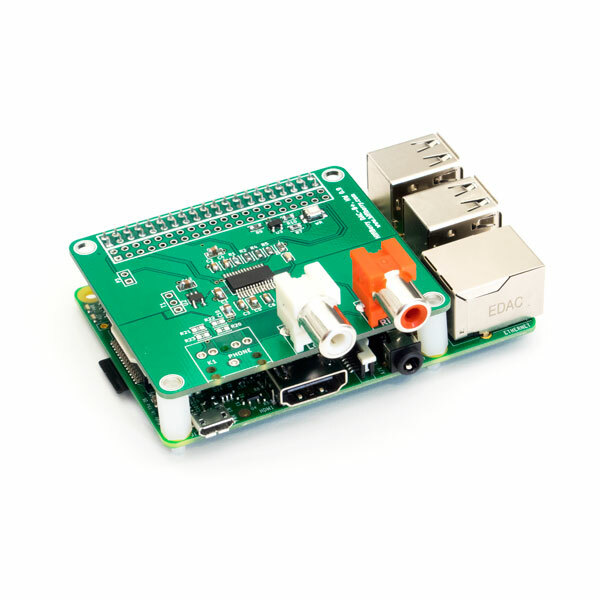 I’m using a HiFiBerry DAC+ because the built-in analogue audio on the Pi is abysmal. I’m far from an audiophile but it’s unlistenable on all the Pi models I’ve tried. Software wise, I’ve kept it simple with just MPD for the back-end and ympd for a web UI. There are many benefits to using a dedicated device, rather than using your computer or phone. There is less clipping when the device is under load, as would happen occasionally with processor intensive tasks. I can also use my phone for other things and can put my computer to sleep. Here are some alternatives to the hardware and software that I’m using. This image is of the hardware I’m using, but there are four versions of the DAC+ (including both a cheaper light and more expensive pro model). There are many other hardware options to the HiFiBerry DAC+, but the built-in audio is definitely not one of them. If you don’t already have an amplifier then you can get one included in some options. There are a few ready made alternatives to rolling your own with MPD. I tried Volumio but didn’t get on great with it. I had some problems with audio clipping and I want to use my pi for other things in addition to playing internet radio. If you look inside the book on Amazon, you can see that I even mention RP in the acknowledgements, for keeping me sane while writing next door to a very noisy building site.